You've searched high and low for the perfect coffee roast, and you've finally found it. Now, where do you put it? Keeping it crumpled up in its original bag would be a sin. Just like any other food, coffee is perishable. You need to find the best coffee storage container for these precious grounds or beans. Here are five of the best options to get your search started. Should You Store Your Coffee as Grounds or Beans? Should Coffee Really Be Stored in the Freezer? How Long Will a Properly Stored Coffee Keep? Coffee storage containers are not the most exciting products associated with coffee. You'll find far more articles and "Top 5" lists for actual coffee beans, coffee makers and coffee creamers. Futhermore, if you need your coffee always at hand, you may need a coffee tumbler. However, despite their normally low status on the coffee totem pole, storage containers are extremely important to the quality of your coffee. That's mostly because when you get right down to it, to make a perfect cup of Joe, the coffee has to be fresh. How do you make sure you have the freshest coffee on the block? 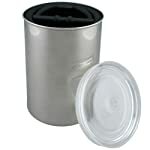 You buy the right coffee storage container to seal in the flavor of your fresh coffee grounds or premium beans. Coffee experts agree that storing coffee is all about preventing those damaging Carbon Dioxide (CO2) gases from getting in. Naturally, you'll want a container that's easy to use, easy to clean, and stylish enough to complement your kitchen. Coffee storage is not a primary focus for many coffee lovers, but it should be. 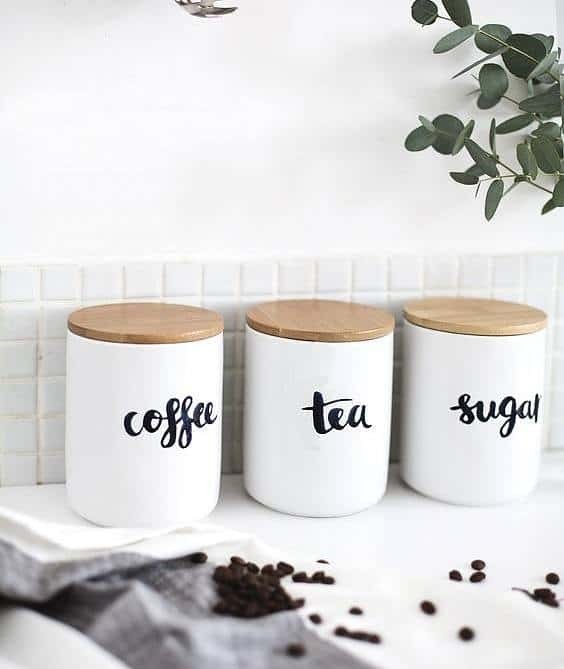 It's vital that you store your coffee in a place where air will stay out, so this is a main concern when it comes to choosing a great coffee storage container. In addition, if you live in a humid area, you'll need to make sure that moisture stays out too. Tight seals and vacuums in the lids and tops of coffee storage containers usually take care of this. In the products listed below, you'll see various types of storage methods to meet your needs and keep your coffee fresh. 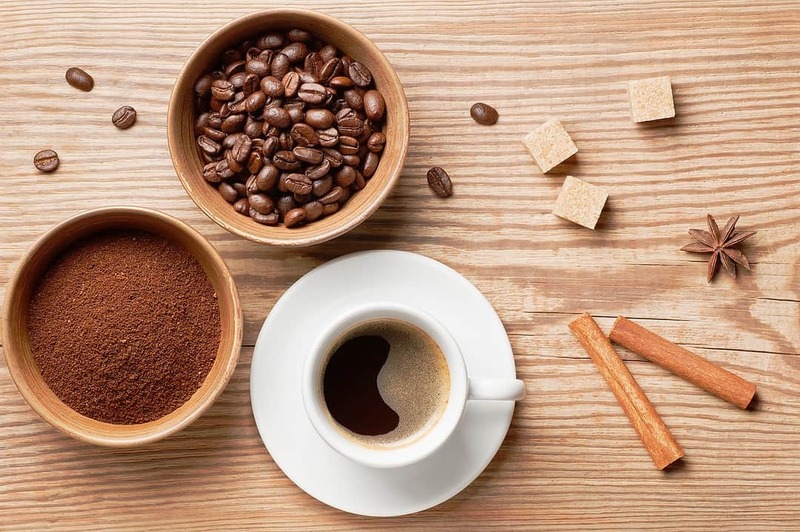 When it comes to grounds or beans, many coffee lovers differ as to the best form of storage. For most people, it comes down to how often you make and drink coffee. If you drink it every day and even multiple times a day, you shouldn't have to grind your beans each time you make a fresh batch. Of course, if you have a simple electric grinder to work with, that may help make the process easier, and you may choose to grind your beans every time you want to have a fresh cup of Joe. If you only drink coffee every once in a while, you should leave your coffee as whole beans in storage to preserve the flavor. For example, if you tend to drink coffee once every few days, just grind up a few beans when you want a cup, and this will be the freshest option for you. Fresh coffee simply tastes better. 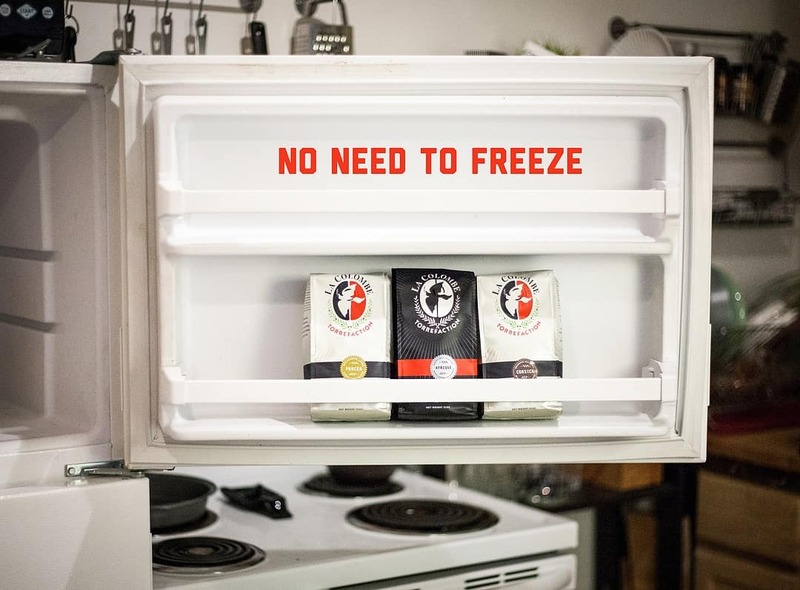 Many people believe that coffee should be stored in the freezer. This is only true if you live in an area where it tends to be very humid. Overall, however, you can feel free to store your beans or grounds on the countertop away from light or in your cupboard, which is even better. Freshness in this case will mostly depend on your coffee storage container. You'll want to find one that can truly keep all unwanted air and moisture out of the container to preserve your beans or grounds. Typically, the length of time your coffee will keep depends on whether it exists in the form of grounds or beans. If you have grounds, it should last about three to five months once you've opened the package. If you have full beans, you can keep opened packages of beans for up to six months. Unopened packages of beans or grounds should keep until the date on the package says the coffee will expire, which is usually two to three years. The Friis Coffee Vault is called a vault for a reason. 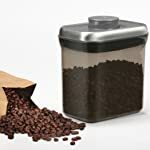 This unique coffee storage container works to keep the damaging CO2 out and away from your coffee with the use of a special filter. 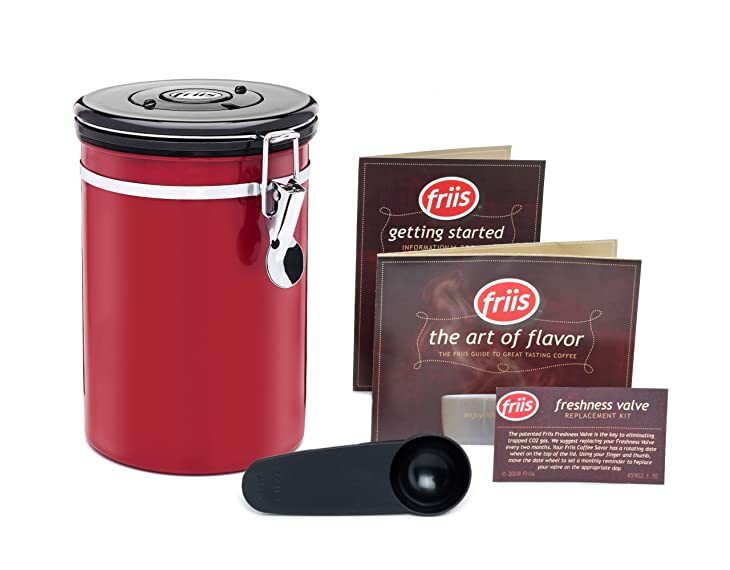 The overall system allows CO2 that is naturally emitted from all coffee beans or grounds out of the canister but not back in, essentially creating a vacuum where CO2 cannot live.This special design is achieved by the use of Friis Freshness Valves. Each purchase of this canister comes with a year's supply of the valves, which needs to be changed every 60 days according to the manufacturer's guidelines. The Friis Coffee Vault is made of stainless steel to provide a stylish addition to your countertop. Over time, rust may form on the outside of the canister because of the non-stainless steel lid ring. 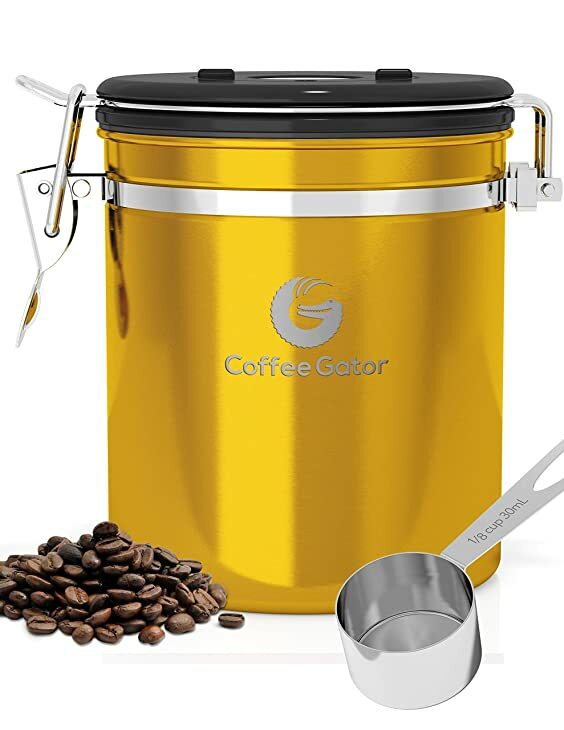 The Coffee Gator Canister features a smooth closing latch that seals coffee tightly in for lasting freshness. Even though this product doesn't contain the vacuum seal that's common in other varieties, your coffee stays fresh for weeks with the included filter and flexible gasket. The filter does not need to be replaced over time, making it ultimately maintenance free except for the occasional cleaning.The container is made of lightweight stainless steel and can be purchased in several different colors. Because of its basic design, it is extremely easy to clean. The wide mouth also makes it simple to scoop coffee out without getting your hands dirty with grounds. 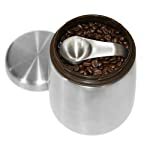 A stainless steel coffee scoop is also included with the product. Store the scoop right inside for easy access. The AirScape Coffee Storage Canister is an excellent coffee storage container when you want your coffee as fresh as possible. The sealing system is achieved by pushing a topper down onto the coffee supply in the container. This pushes as much air as possible out of the canister. Another lid is added on top of the container to achieve ultimate freshness. All of these helps to keep moisture out and freshness in. The canister is made of stainless steel, and it comes in a number of colors, including bronze, white, silver, red and black. You can choose the perfect color to match your kitchen decor. The extra lid can be cumbersome to use. It's never possible for all air to be pushed out of a canister, so even though this is somewhat achieved, it's not foolproof. For those who appreciate being able to see how much coffee they have in their coffee storage container, the OXO Good Grips Coffee POP Container might be just what you need. This container is made of strong, BPA-free plastic that is transparent yet tinted. This protects coffee or other products, such as spices or tea, from harmful UV-rays. The OXO Good Grips Coffee POP Container also features an airtight seal when you press a large button at the top of the container. The square base of the container differs from the others on this list and may be better in some storage situations where space is in short supply. Some light penetrating through the transparent canister, can change coffee flavor over time. Despite being BPA-free, there is some question as to how toxic plastic may be as a food storage material over time. 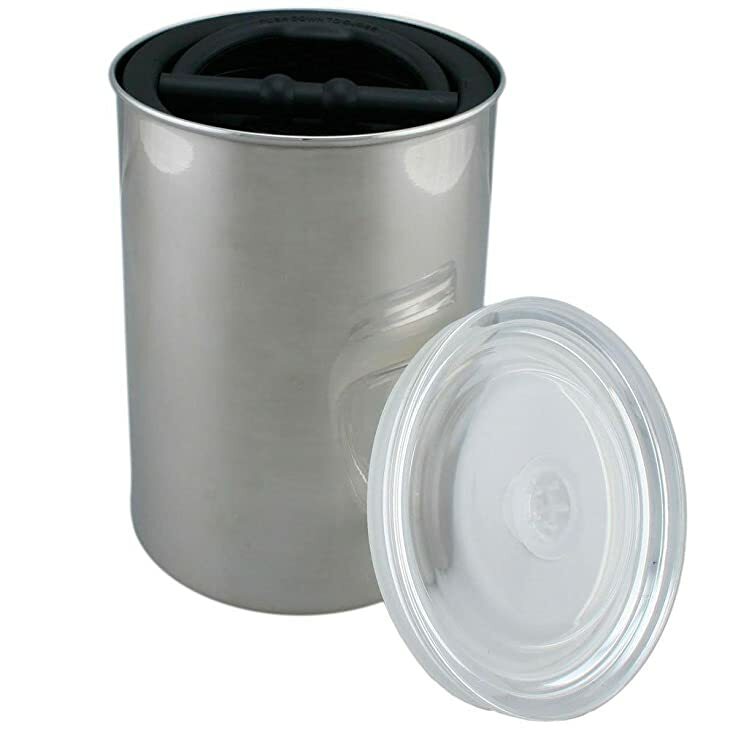 The Handi Home Coffee Canister is a stainless steel canister that comes with a twist-on top. The topper has a plastic and silicone seal to keep air out, and the canister comes with a stainless steel coffee scoop. This scoop is easy to keep around because it sticks to the top of the canister via a magnet in the topper. Store the scoop on the inside or outside of the canister. You can store beans or grounds in this container, and it's excellent for other foods as well, making it a versatile addition to your kitchen. The large mouth of the canister makes it simple to scoop coffee out without making a mess. The Friis Coffee Vault is the clear winner of our roundup. The filter design is unique in that you have to change it every 60 days, but it ultimately keeps coffee the freshest by pushing unwanted and damaging CO2 out of the canister and not letting it back in. It's also made of a classy stainless steel material that will sit on your counter and complement your decor. You can even choose a special color to match your kitchen. 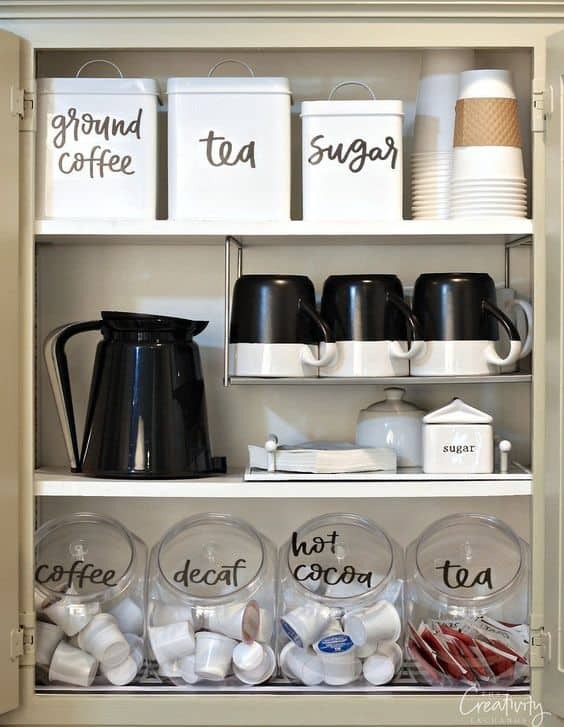 Of course, if you do decide to buy a coffee storage container that requires no maintenance, you also have several other coffee storage options on this list to choose from. 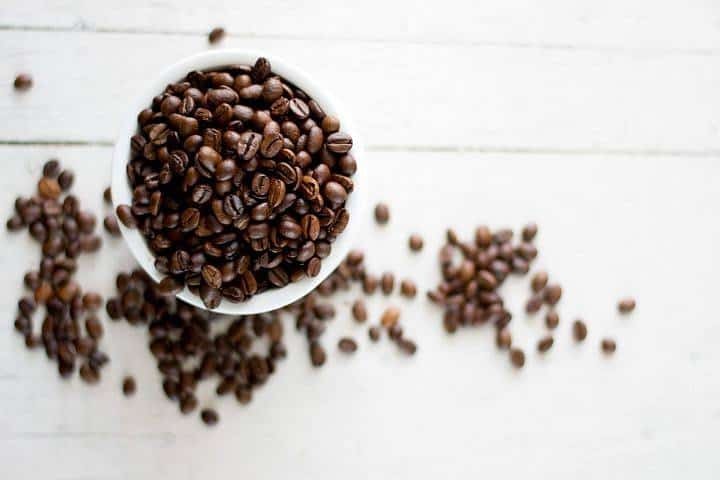 We hope this article helped you discover the importance of finding a quality storage container to keep your precious supply of coffee beans or grounds. If you liked this guide, please share it with your friends and comment below!